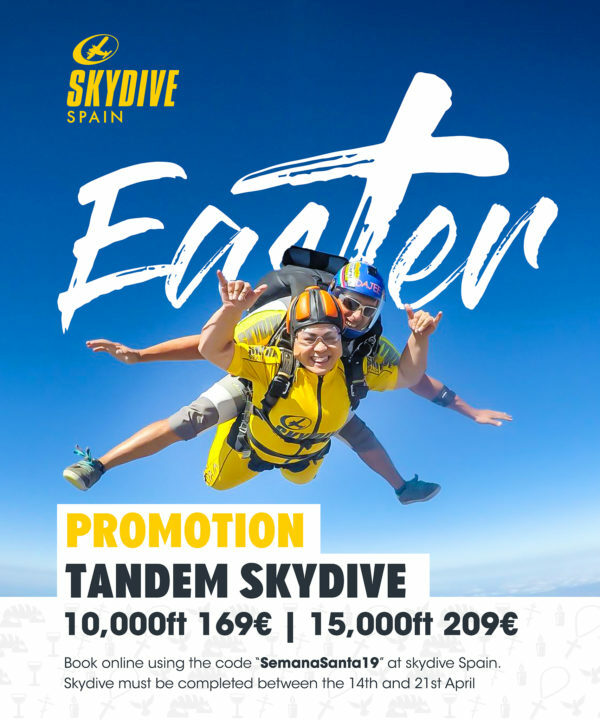 This Easter we have a fantastic offer on our Tandem Skydive. You can now choose to jump from one of our two altitudes offered with a total saving of 20€ off our original price! The 10,000ft tandem gives 30 seconds in freefall giving you the most exhilerating half a minute of your life! Do you want to live the rush for a FULL minute? 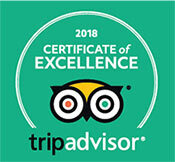 We will gladly take you up to our stunning 15.000ft to take your experience to the next level! Book this great deal online using our discount code “SemanaSanta19″. Please be aware that the skydive must be completed between the 14th and 21st April 2019.